Strategic Business Development Award Presentation (right to left): Jack Potter, Nacho Hernandez, Drew Aliperto, and Patrick Donahoe. 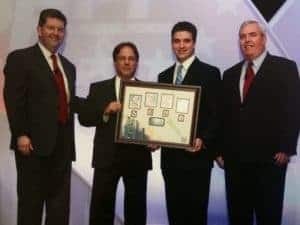 For MexGrocer, this award is recognized thanks to the consulting implementation by integrated partner AME Systems for the Endicia Internet Postage Service (a service from Envelope Manager Software) to increase volume of shipping orders through the United States Postal Service (USPS). On behalf of the Company, Nacho Hernandez, Co-Founder and Vice President of MexGrocer.com, received this award. There were a total of 3 out 5,000 clients from Endicia that received an award during the ceremony. It’s interesting to note that among the winners, there were mostly large corporations like Amazon.com, General Motors, Trader Joe’s, AT&T Inc., Nike Inc, Time Warner Inc., Ford Motor Company, Walmart.com and many others (for a total of 35 companies being recognized) in three categories: Creative Business Solutions Award; Strategic Business Development Award; and Corporate Business Achievement Award. 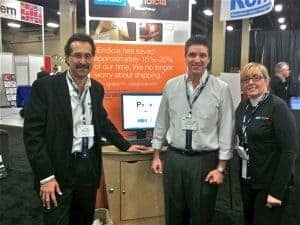 NPF 2010 at Endicia Booth with Amine Khechfe, Nacho Hernandez and Candy Booth. During the NPF 2010 Conference, Amine Khechfe, General Manager of Endicia and Nacho Hernandez from MexGrocer, presented the case study, “Leveraging USPS Technology and Discounts to Save Shippers Money” to demonstrate how companies like mexgrocer.com utilize the technological innovations of the USPS to save money. 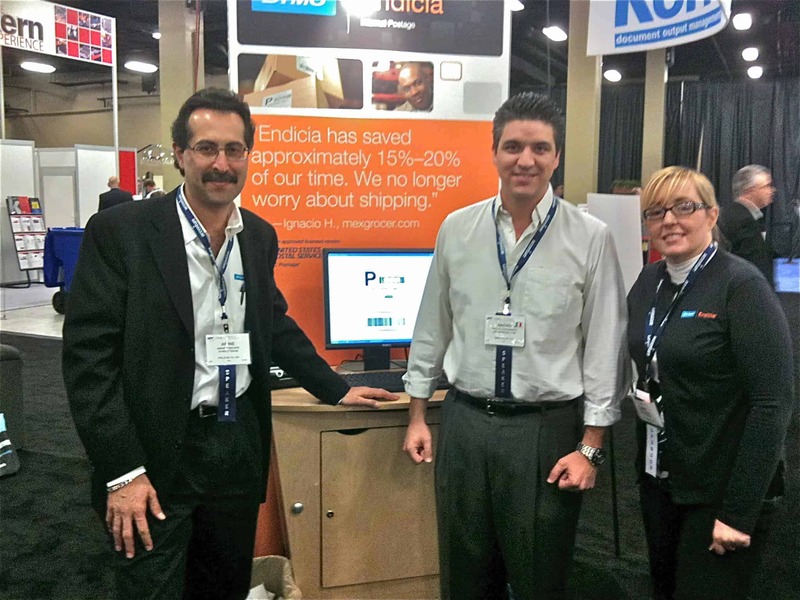 MexGrocer provided its testimonial to show how its company benefits from USPS efficiencies by using Endicia’s Platinum Shipper product and details how much money they save by shipping with USPS instead of private carriers. The workshop showed attendees how to examine their shipping mix, understand surcharges levied by private carriers, and how to access USPS benefits with online post. Below a quick video summary of the case study.